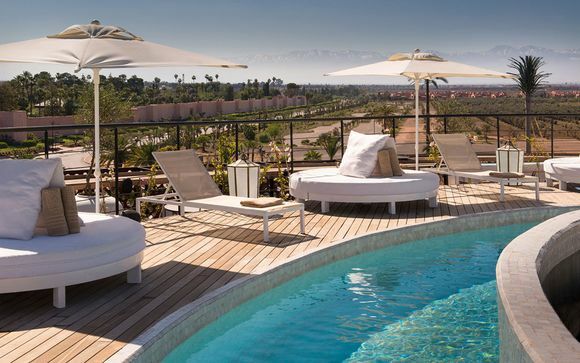 Holidays to Marrakech up to -70% off To take advantage of these offers, join now for free! 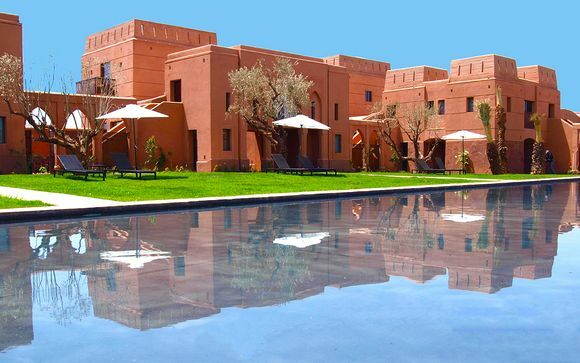 Discover a fascinating culture of ancient mosques, vibrant souks and exotic squares with a luxury Marrakesh holiday. 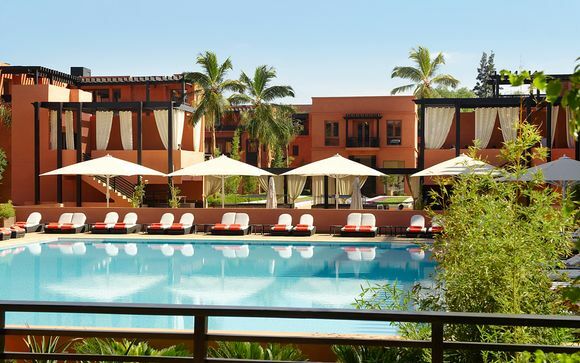 Whether you’re haggling for crafts in the lively markets, or resting in the shade of fragrant jasmine in a quiet garden oasis, a holiday to Marrakesh is an unforgettable assault on the senses. 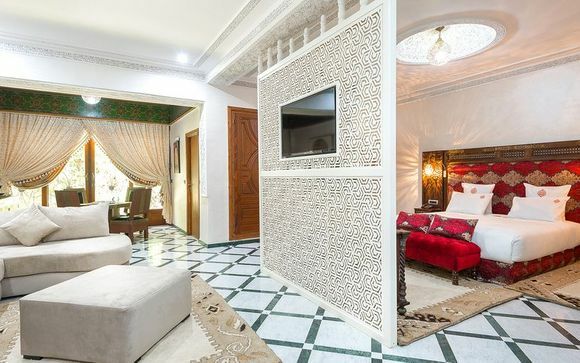 Located in the south of Morocco, in sight of the snow-topped Atlas Mountains, Marrakesh is a former imperial city, and its illustrious past is evident everywhere you look, from the ancient city walls that circle the Medina (or old town) to the many spectacular palaces that grace the city. Entering the medieval old town is like stepping back centuries. Donkeys laden with goods walk the winding maze of car-less streets, the pungent tannery district processes hides in the way it has done for hundreds of years, and the call to prayer that sounds several times a day from Koutoubia Mosque is ancient and evocative. In the heart of the city is Djemma el-Fna, the medieval square where the spectacle of belly dancers, snake charmers, soothsayers, tooth pullers and storytellers has been played out since the city was founded in the 11th century. Come evening, the entertainment dissolves into the night and is replaced by a huge food market, where you can sample Moroccan stews called tagines, and aromatic mint tea while breathing in the intoxicating smoke and spices that fill the air. 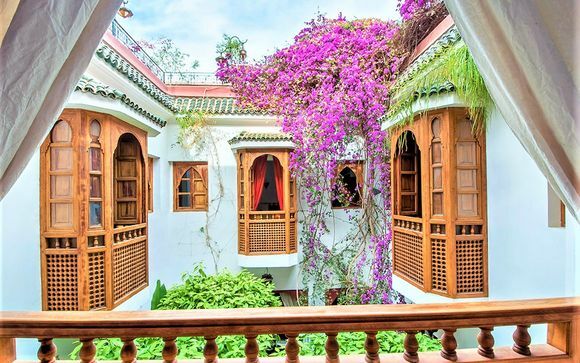 Beyond the city walls is the beautifully manicured, jewel-like garden Jardin Majorelle, home to huge cacti, twinkling fountains, vivid mosaics and shady bowers. 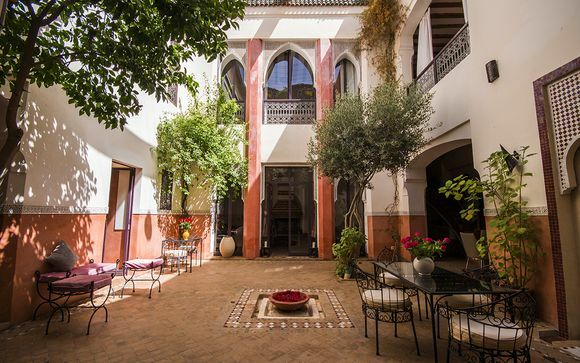 Wander its two and a half acres along paths following pools and streams and watching the darting birds before ducking into the garden’s Berber Museum, where you’ll learn about the art, culture and history of this fascinating community. For all its ancient history and Moorish charm, Marrakesh is a modern city, with luxury riads (hotels built around a central courtyard) boasting contemporary interiors and high-tech in-room gadgetry; cosmopolitan rooftop bars offering signature cocktails; and indulgent hammam spas where you can unwind with a body scrub and massage after a busy day’s haggling. 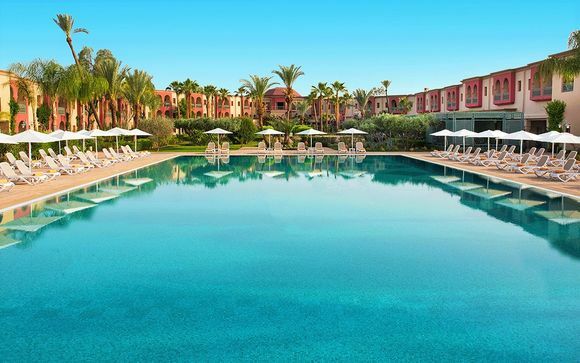 Whether you’re looking for an all-inclusive holiday to Marrakesh or a weekend getaway, our selection of luxury hotels are available at exceptional discounts. Sign up to the website to see all the available offers today. 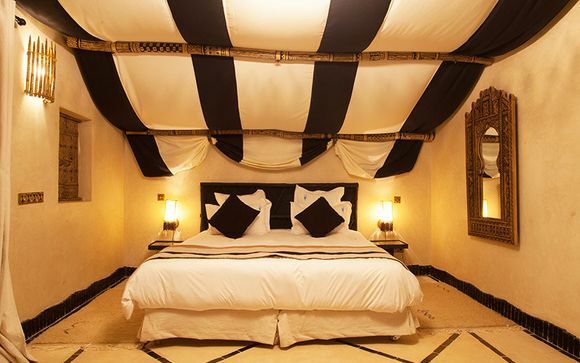 Discover more travel to Marrakech: sun holidays, last minute, short break, weekends, stays.